Released on June 21, 1980. 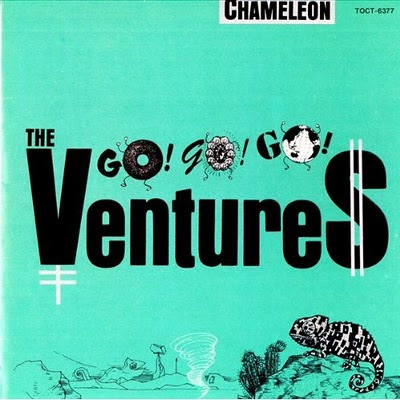 This is the "new-wave" album of the Ventures. Reissued as CD in 1992 and 2000. The 2000 edition has bonus tracks. The CD rereleases are out of print but the album itself is now available as mp3 download from itunes and amazon.com. Pike, written by original member Yamashita Yasushi, has been one of the popular numbers for Hikashu. Then, did you know, the tune was originally written for a veteran group called the Ventures? It was 1980. As preparing a new album of the Ventures, Toshiba-EMI wanted to 'modernize' the sound of the band. The time was high. At that time, younger bands like the B-52's or the Ramones expressed the respect to the veteran combo and younger audience started to pay attention to them. So the record company decided to do a 'new-wave' album, of the Ventures. The staff gathered for the album was quite remarkable. Kato Kazuhiko, of Sadistic Mika Band, was appointed to the producer. The songwriters were all three members of YMO, Suzuki Keiichi of the Moonriders, and Itoi Shigesato, the famous copywriter. Also there was a nondisclosure competition of composition for young writers. Asked for participating the event, Yamashita wrote a tune and applied. He won. His work was chosen. And that tune was, Pike. As for Hikashu version, it was included in their 1980 album, Natsu. Since then, as ever a crowd-pleaser, the tune has been featured in the group's live performances. And younger bands like Polysics covered it. Certainly it is going to be one of Japanese rock anthem, passed from generation to generation. Long live Pike. Though being away from stage for a while, the band starts a new concert series on this January, entitled Another World Of Hikashu. It is a live showcase event, aimed for introducing solo activities of the members to Hikashu audiences. Also the event would feature some guest performers. For the first round, the drummer Sato Masaharu's group, Bokura No Shizen No Bouken ("Our Adventure In Nature") would appear. The guest is Makigami Koichi on voice and theremin. Sato is a veteran musician, started performing professionally being still quite young. Notably, one of his earliest careers is the Japanese progressive rock band, Bi Kyo Ran. He joined the band before he turned 20. After that, he led the band called Adi and recorded three albums in 1990s. Besides performer and session work, he has also been active as composer and arranger for years. Bokura No Shizen No Bouken is one of many groups he currently participates in. It is a trio with Fukamachi Jun (keyboards), and Konta (vocal, soprano saxophone). 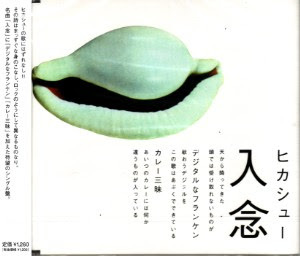 Fukamachi is one of the forerunners of synthesizer music in Japan. Konta is a member of the popular group called the Barbee Boys and has also a career as solo artist. Besides 1978 and Hikashu Super two, Makigami just revealed that the reissue of Watashi No Tanoshimi is now in the works. The album was originally released in 1984 from an independent label called Balcony Records, and has never been reissued before, so this is welcoming addition. Watashi No Tanoshimi ("My Pleasure") was a collection of ambient instrumentals which were originally commissioned for fashion show of Jurgen Lehl, German fashion designer living in Japan. Bridge Inc., the distributor of recent Hikashu releases, just announced the release date of the 1978 reissue is March 21st, 2010. Difference with the original issue? Cardboard sleeve, and bonus track. Most of the songs are the same with the first album, so some familiarity with the album is desirable if you want to enjoy the 1978 album to the fullest. You would be surprised. Makigami posted a new video on YouTube. It is the opening improvisation on October 26th 2009 at Shibuya Quatro, Tokyo. After that, the group segued into Ikirukoto. Nyuunen is a terrific tune. Attractive melody, sheer driving feel, and philosophical lyrics. "Deliberately/Think, not deeply/Deliberately/Don't think it over/Put an "an" inside a bun/For not bending the destiny/There's something falling from the sky/The thing you cannot catch on your head" A perfect choice for single. Actually, it is very old song. The group has been playing it for nearly 10 years, and has recorded with different personnel. Then, in 2007, the group re-recorded it for release. Digital Frankenstein is dark, eerie, and doom-ish. It's a story of a man trapped, addicted, and immersed himself in the 'Net. "On square liquid crystal screen/He is transforming all the voice/Digital Frankenstein/Swimming in the net/Immersing himself by a click/Praise Digital Technology/This song is consisted of bubble/Digital Frankenstein"
The Curry Master is a praise for the traditional indian dish. (But beware, Japanese curry is much, much different from original.) Embellished pseudo oriental feel, sung by the great Mita Freeman (and on top of it, Makigami sang with falsetto voice). Here Mita acted an imaginary Buddha, who cooks very tasty curry. Hear the man shout "Curry!" Track 1 and 2 are single version, entirely different take from the ones on the Ikirukoto album. Track 3 is for the single only, not available anywhere else. Early version, recorded in 2007 at Kichijoji Star Pine's Cafe. In introduction, Sakaide murmured the title phrase, Digital Na Franken. Kuro Yagi Shiro Yagi (Black Goat White Goat) is a newly-formed duo of Sakaide Masami and Sato Masaharu, the bass player and the drummer of Hikashu, respectively. Their first gig was on November 2009 in Shibuya, Tokyo. Right now, they play totally improvised jam and they are also preparing some composition, especially written for the duo. Their next gig is on January 20th, 2010 at Bar Isshee in Shibuya, Tokyo. Jazz Art Sengawa is an annual, 3 days festival of Jazz and improvised music, started in 2008. Sengawa is a name of town in Chofu, east surburb of Tokyo. The creative director of the event is Makigami Koichi, along with veteran jazz bassist Fujiwara Kiyoto, and avant-garde cellist Sakamoto Hiromichi. Its artist roster is quite impressive. Haino Keiji, Jim O'Rourke, Fukamachi Jun, Uchihashi Kazuhisa, Ruins Alone, Otomo Yoshihide, John Zorn's Cobra with the prompter Makigami Koichi, and of course, Hikashu. At the festival, Hikashu played with veteran jazzmen, Sakata Akira in 2008, and Umezu Kazutoki in 2009. Also, there is free music session with young improvisers à la Derek Bailey's company. The theme of the event is "intimacy", so Makigami designed a very small venue named "Club Jazz Byobu", a movable space which could be accomodate up to 5 persons. In it, performer and audience could be literally face-to-face. The following is a promotional clip of the event in 2008. Hikashu can be seen a few seconds, around 0:23. In it, Sakata Akira sang the famous anti-war song of Tanikawa Shuntaro and Takemitsu Toru, Shinda Otoko No Nokoshita Monowa (What was the dying man left). An opening parade by Jinta-ra Mvta, a variation of the brass ensemble (with chindon rhythm) called Cicala-Mvta. This is from 2009. The 3rd Jazz Art Sengawa would be held on July 9-11, 2010. There is a 2CD compilation of Hikashu called Twin Best. Its selections are from 1st to 3rd albums plus some single-only cuts. It was released by Toshiba EMI, on February 24th, 1999. Although it is legitimate, I advise you should not get this one. Because it was released without the group's approval, and Makigami simply said "do not buy that thing". Also, from the fan's standpoint, it lacks appeal and has no merit to own it unless you are diehard collector. All tracks are available elsewhere, the artwork is shabby, and above all else, it doesn't look showing any respect for the group and the recordings. In fact, everything just looks like a terrible hack job, and probably it is. Avoid. As far as I know, Hikashu played in the USA twice, in 2005 and 2007. Both times they visited New York City for recording, and in spare time, they played at the Stone in 2005 and a now-defunct venue called Tonic in 2007. There are some photos of the events, 2005 and 2007. As for seeing them live in the USA, I would say there are possibilities, although, I'm sorry to say, not in foreseeable future. It's likely that they decided the recording for new album would be conducted in Tokyo and Shizuoka. 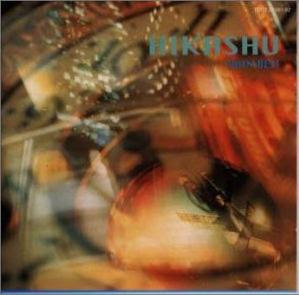 Regarding live performance in foreign countries other than the US, Hikashu did some concerts in Germany, in early 1990s. According to Makigami, the recent reissues of early albums were sold moderately well, so there would be more titles in future. Though there is no official announcement at this time, it is likely that the next reissue would be the 1978 album. And a sequel of Hikashu Super, temporarily titled as Hikashu Super 2, are now in consideration, too. It would be a compilation of single-only sides and other rare tracks. Or maybe we could expect some live recordings. Also, new things to come. The group would go back to studio on January and February, and hopefully release new album on March. Apparently, they have already enough material to make an album. Although there is no word about the album itself, I assume that it would be a collection of pre-composed songs plus some improvisation, like the 2008 album, Ikirukoto. There are no announcement for live performance on January and Februrary, so probably the band would devote themselves those two months for recording. 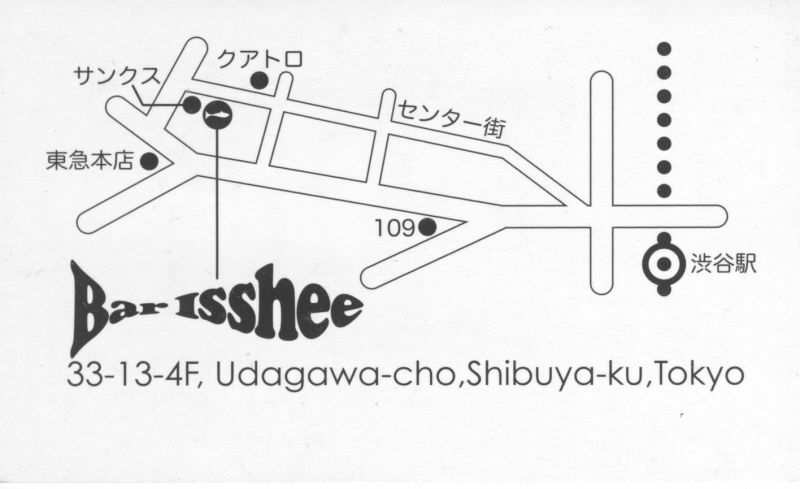 Their next live would be held on March 10th at Star Pines Cafe in Kichijoji. Let's hope 2010 would be a fruitful year for all of us. Chikada Haruo is a veteran musician, columnist, and the producer of early Hikashu albums. As a guest, he appeared the Hikashu concert on December 26th, 2009 and sang his song, Electric Love Story, backed by the band. Electric Love Story was the second solo single of Chikada, released on April 21st, 1979. Lyrics was written by the famous manga artist, Umezu Kazuo, and music was composed by Chikada himself. The arrangement and backing track was done by the newly-formed Yellow Magic Orchestra. At that time, Chikada was collabrating with the YMO in the studio, and once Makigami happened to witness the recording session. The single was backed with an another version of the same song. The B-side version featured completely different arrangement and recording. The arrangement was by Wakakusa Kei, also a veteran composer and arranger. They made it again. The place was packed, the crowd was enthusiastic, and the band played splendidly. With all the original members and different arrangements of earlier tunes, it became a special night. The band opened their set by Nicoselon, the first tune of the one-week-old album, Ten Ten Ten. Originally it featured bass clarinet, but this time Shimizu settled on the concert grand, and took a fierce solo. Sakaide also added many double-stop on his bass playing, which was effective and fattened the rhythmic feel. Although we could hear only two tunes from the new album (the other one was "Justrius"), the audience apparently expected earlier tunes, because of all the original members' participation. And their hope was utterly fulfilled. The half of the concert was consisted of earlier tunes. Puyo Puyo, Doro Doro, Alternative Sun, Shiroi Highway (White Highway), At the End of the 20th Century, et al. Even some of them were arranged differently. For example, Pike usually has a bass solo introduction by Sakaide, but this time started with rhythm pattern from the sequencer. 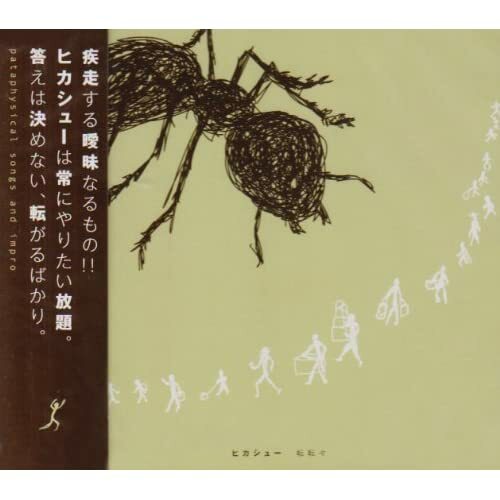 Yochu No Kiki (Larvae in Danger) featured various sampling sound, like the original arrangement, made by Inoue. (Only the instrument was different. This time Inoue played a Kurzweil synthesizer, not specially-modified Mellotron, of course.) Also Tobe sang his signature song, Morning Water. Encore was a medley from their 3rd album: To Icecron (very rarely played), then Uwasa No Jinrui. Soutaisei Riron, the opening act, played short (30+ minutes) but nicely set. Also, as a tribute, they covered Hikashu version of Kraftwerk's Model. Upon the band's request, Ono Seigen recorded the event. So maybe there will be some release from the concert in future. At last, the new album from Hikashu is released. It was called Ten Ten Ten, and a sequel of the Ten Ten album, released in 2006. But there is some difference between them. First of all, Ten Ten Ten is not entirely improvisational, while Ten Ten is. Unfortunately, there is no specific recording data available, but we can assume most of the tracks are from the Ten Ten sessions in 2005, plus some overdubbing. Also some of them were newly recorded in 2009. Apparently, Nikoseron and Utorius are among them. Nikoseron, the opening track, is a sort of funk. Speaking of Hikashu's funk, I remind of "Teicho Na Omotenashi" ("Courteous Hospitality") but Nikoseron is not so deliberately constructed like that. Contrary to that, it is loosely structured, and features bass clarinet, played by Shimizu Kazuto. Then "The Situation is Absolute" and "Outside, I see you falling" are fierce, high-energy performances. But there are quieter moments. For example, beautifully-sounded "like the cat at midnight", like a snapshot of a scene in an entrance of a country home "State of Doors", and magnificent "Utorius". Of course, being an avid fan, I have no intention trashing out any recording from them, but aside from that, I have to say this is quite an impressive, and exciting album. Highly recommended.